What’s up everyone! Welcome back to another Community Express Community Recap. We have a few events this week to review! 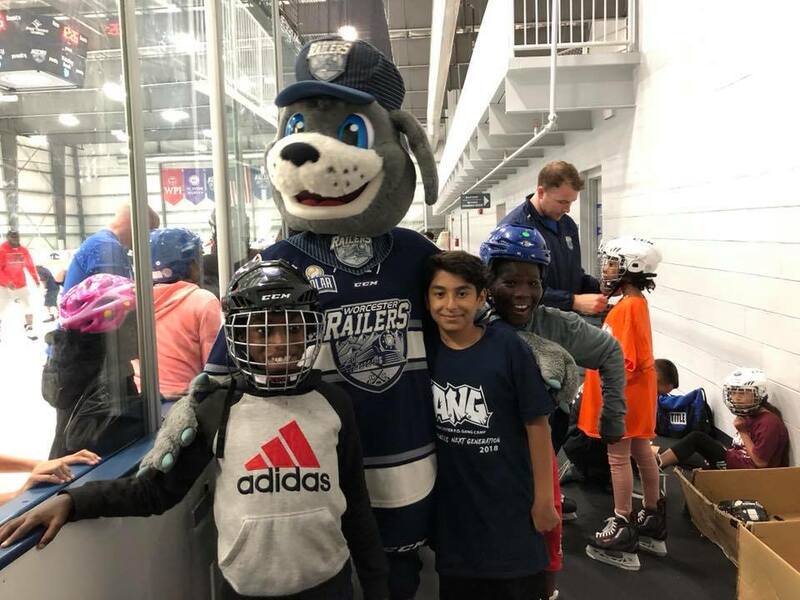 If you see us in the community, be sure to take a photo and tag @Trax_RailersHC on Twitter, Instagram, and Facebook! We’ll share our favorites. 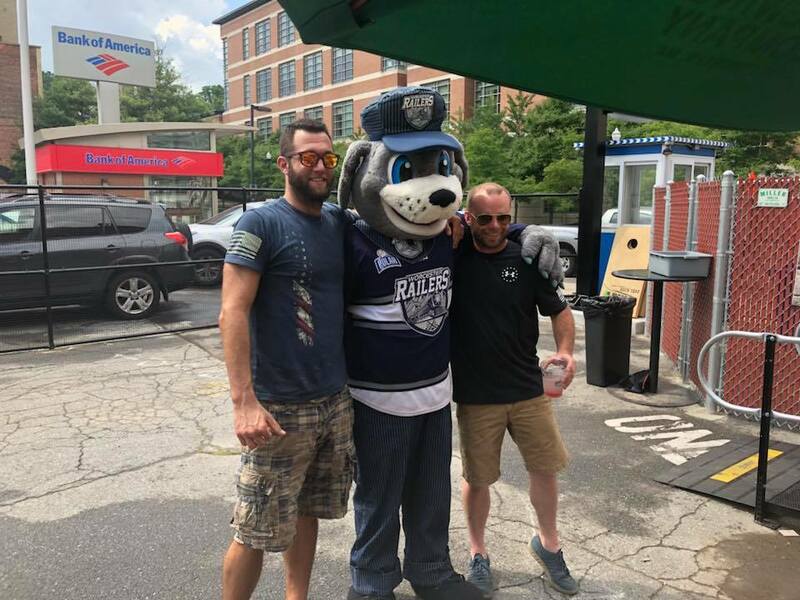 Trax and I checked out the Worcester Smiles on Sunday. Who are the Worcester Smiles? 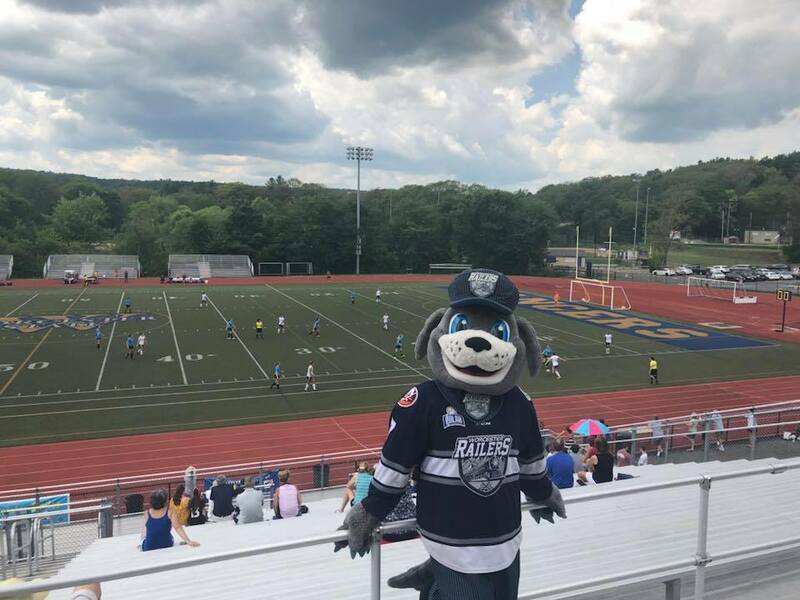 They are the brand new United Women’s Soccer team that plays here in Worcester! The game took place at Alumni Field at Worcester State. We met a bunch of energetic fans! Trax and I went to the Worcester JCC on Tuesday to play some floor hockey with 2nd and 3rd graders! Trax was the rufferee and I was one of the goalies. It was a ton of fun! We will be heading back on Thursday to play with the older group of campers! 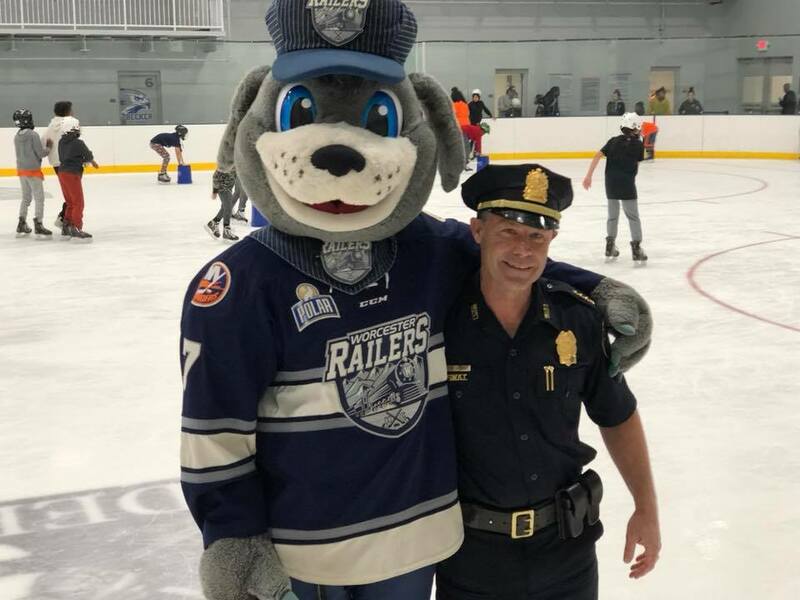 The Worcester Police Department GANG Summer Camp took place at the Fidelity Bank Worcester Ice Center on Tuesday. They brought 75 kids to the Ice Center. These kids got to experience a workout at Peak Fitness, have lunch at Nonnas Pizza, and ice skated with Railers player Connor Doherty as well as Trax. It was a great event! In case you missed it, we announced another player signing the other day. Here’s the article! Also, the latest episode of TWT came out, you can view it here. Finally, if you missed last week’s Community Express, check it out.